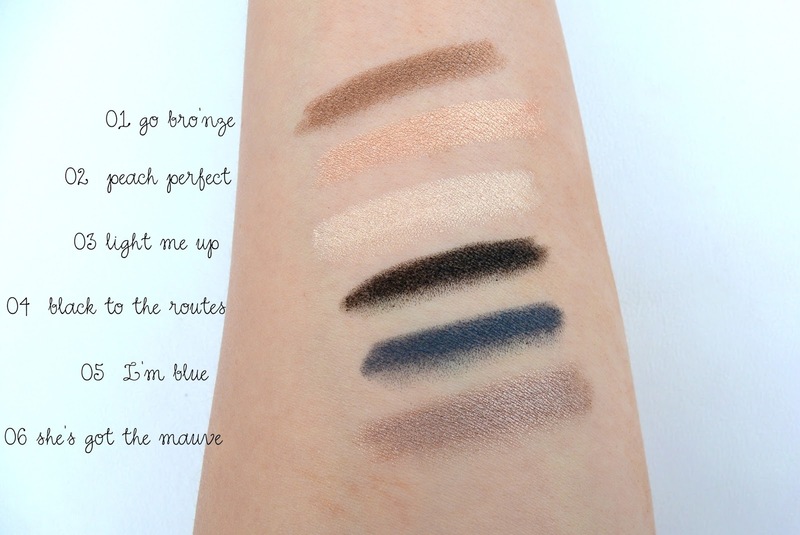 Finally they have added eyeshadow sticks to their collection, my all time favourite product! I have always been a 'Chubby Stick by Clinique - fan' but now my favourite budget brand also brings eyeshadow sticks on the market. 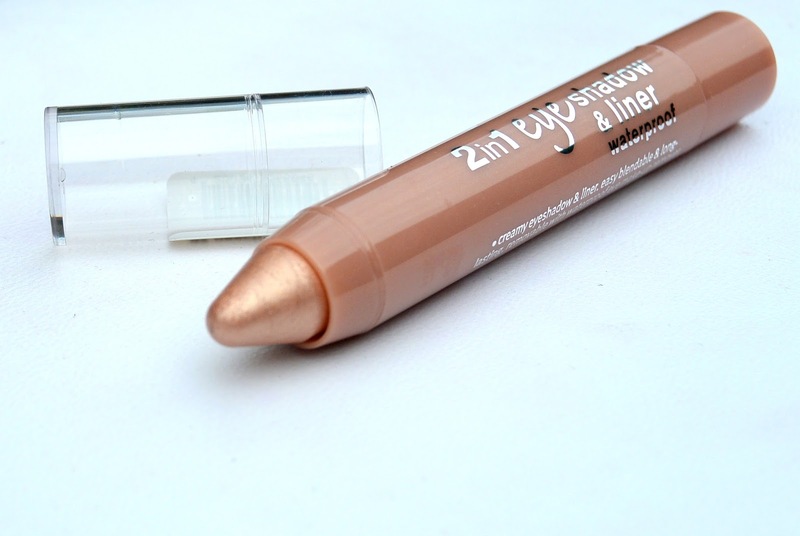 2 in 1 eyeshadow and liner that is waterproof. Well no, these sticks can be used for both purposes and I love it! In the morning I don't feel like using all my eyeshadow palettes because I don't have the time for that? On the picture above you can see how the stick itself is shaped. When you want to use this stick as a liner, just gently move it above your upper lashline and voila! 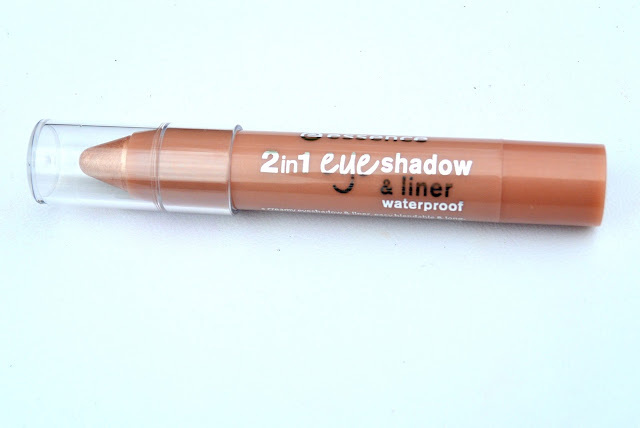 The packaging says these sticks are waterproof, and I tried it out (off course), and guess what? To me, this is a huge bonus because I don't like it when my eyeshadow 'smudges' and a waterproof version will stay beautiful the entire day (or night). Essence has released 6 different colors and I like each single one of them. Some are more suitable for a daylook, the other ones for a dramatic evening look. The black one (number 04) I like to use as a base for a smokey eye. Oh I'm so happy with this collection! 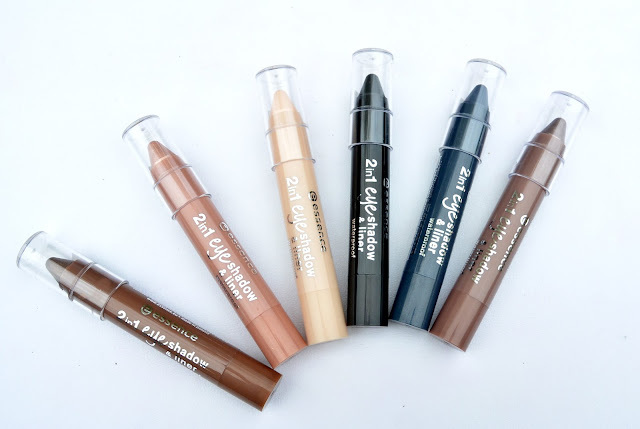 What do you think about eyeshadow sticks? Oh, I like that 2 products are combined in 1 product! Que lindos esses lápis sombras, cores lindas. Oeeeh die kleuren zien er goed uit!